Darke County Center for the Arts will continue a long-standing Halloween-season tradition when they host their annual Ghost Walk in downtown Greenville on Friday, October 26, Saturday, October 27, and Sunday, October 28; the walks begin at St. Clair Memorial Hall at 7:30 p.m. However, DCCA will also be hosting a new Ghost Walk in Greenville Union Cemetery on Sunday, October 28 at 4:30 p.m. and again on Halloween night, Wednesday, October 31 at 6 p.m. Many of the tales to be spun are based on stories collected by Arcanum-area resident Rita Arnold which tell of local ghostly encounters. “We are always pleased to present the Downtown Ghost Walk, and are very excited about the Cemetery Walk,” said DCCA Executive Director Andrea Jordan. “This is a great way for people of all ages to celebrate the season, learn a little local history, and have a lot of fun,” she continued. According to Ms. Jordan, the new Cemetery Ghost Walk will include some newly discovered spooky stories which will be told at the final resting place of the subject of the tale; she also made clear that, while the walk is planned as a fun-filled event, participants should remain aware of the solemn heritage of Greenville Union Cemetery and respect the final resting place for generations of local citizens. Both walking tours include surprising tales of spooky interaction that leave much unexplained. “The stories can give you chills, but are still not too scary for children old enough to enjoy a long walk in the dark,” Ms. Jordan explained. She also reminds potential Ghost Walk participants that some tour sites include uneven terrain and may be dimly lighted. As in years past, the Downtown Ghost Walk will be held regardless of weather conditions; if seriously inclement weather occurs, the stories will be told at Memorial Hall. However, no appropriate alternative site is available at the Cemetery; therefore, bad weather will force a cancellation of the Cemetery Walk. Greenville Masonic Lodge #143 Craft Club will be serving refreshments at St. Clair Memorial Hall before and after the Downtown Ghost Walk. Tickets for the Downtown Ghost Walk and the Cemetery Ghost Walk each cost $10; however tickets for the two Walks are not interchangeable. 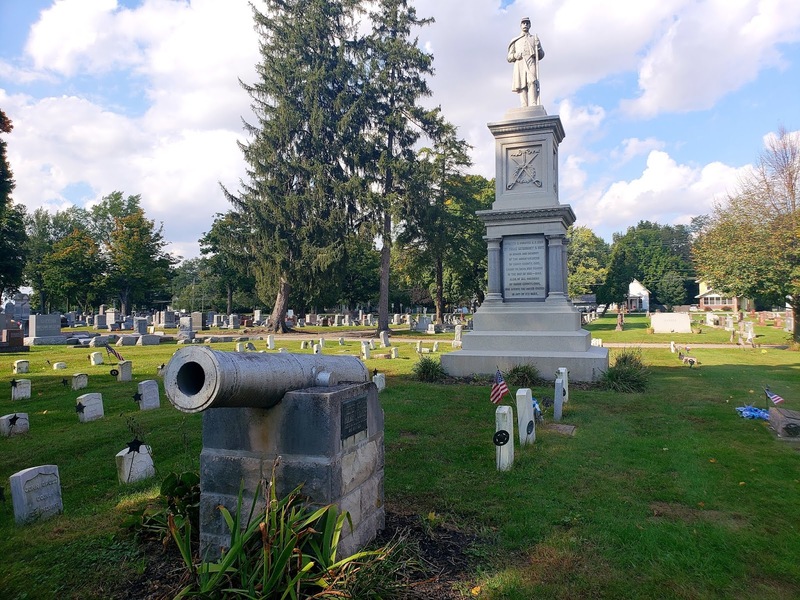 While advance tickets for the Cemetery Walk are only available on-line at www.darkecountyarts.org and by contacting DCCA at 937-547-0908 or dcca@darkecountyarts.org as well as at at Greenville Public Library, tickets for the Downtown Walk can also be purchased at Ann’s Gifts, Readmore's Hallmark, and Darke County Visitors Bureau Welcome Center in downtown Greenville. Tickets for the Downtown Walk will be sold at the door at St. Clair Memorial Hall; entry to the Cemetery Ghost Walk will be at the North Main Street Greenville Union Cemetery entrance where tickets may be purchased immediately prior to the event.